Originally created in San Antonio, Texas U.S.A.
Order your product from us, we will ship to you. Tung Oil Sealer and Finish - Gives a "hand rubbed finish to fine wood furniture and floors. 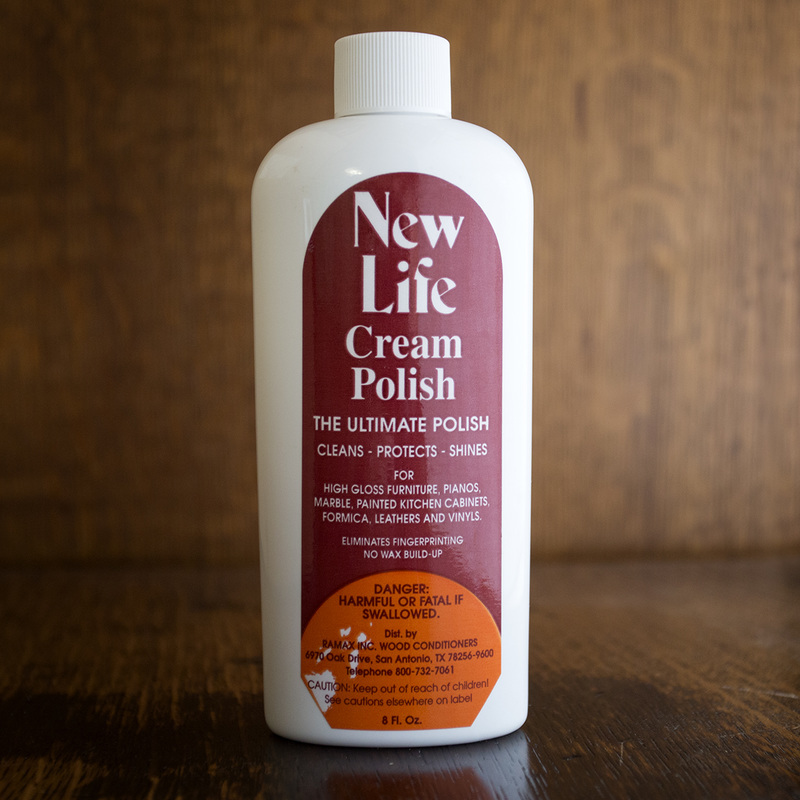 Cream Polish "The Ultimate Polish" Cleans, Protects, Shines, for High Gloss Furniture, Pianos, Marble, Painted Kitchen Cabinets, Formica, Leathers and Vinyls. Eliminates Fingerprinting No Wax Build-Up. Furniture Masque "Cleans Dirty Ol' Furniture" Removes Water Rings and Grime. Cleans Marble, Tile, and Painted Surfaces. Excellent Cleaner for Hard Surfaces or Varnished Leather and Vinyl. To order, call (830) 535-4979 and we will ship to you.